When people ask me about getting started as a designer in the fiber art business I almost always tell them the same thing: you have to get used to rejection - fast. I don't want to be negative, but it's true. I think most of us designers that are submitting to magazines, yarn companies, books, etc. would agree - you're going to get rejected sometimes. Maybe even more than you get designs accepted. And you have to get used to it. It doesn't mean that your design was bad, it just might not fit the theme of what they were looking for, or they may even have something similar coming out that you don't know about. In my email newsletter last week, I talked about how Wallingford was a rejected magazine design that has become one of my most popular patterns. And today, here is Floe. A rejected magazine design that I reworked a bit and added to my new book. I'm super super proud of this design. I decided that for this shawl I wanted to knit the border first, but I didn't want to pick up slipped-stitches or anything along the edge. Instead, I used wrap & turns to create live stitches along the edge of the border. When you get to the end of border, you just pick up your second color and start knitting on the stitches already facing the right way to work the short row body. I am definitely going to be working on some more designs with this technique. It's so fun to knit! 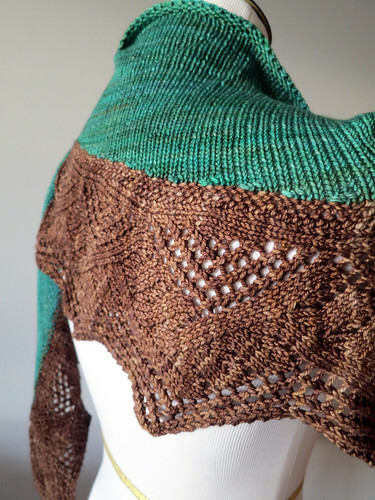 There's lots of ways to play with color in this shawl. 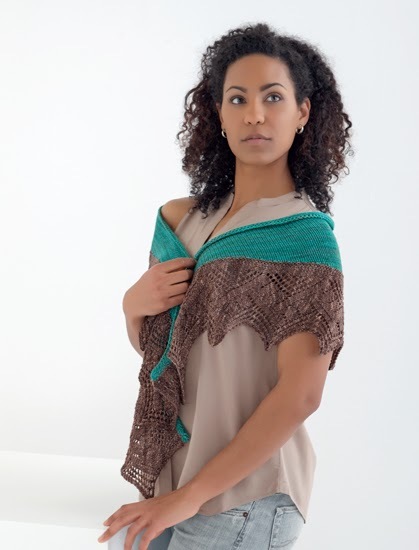 You could knit it all in one color, or even use a variagated or self-striping yarn for the body. I think it would be lovely. Stay tuned for next week. 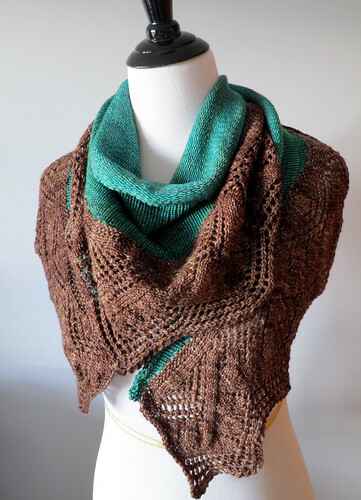 One of the shawls I'll be talking about is the cover shawl - Lycopod!